Having more time to spend with your family and friends? Contact Byrnes Consulting to discuss which of over 100 different business-improving topics are right to help your firm become even more successful. The current market environment has shaken the foundation of the industry, but, at the same time, it has created significant opportunities for your business to succeed. Now, more than ever, it is important to get a fresh prospective on how to improve your business. 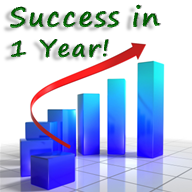 To set up a free initial consultation to see if the “Success in 1 Year!” program is right for you… contact Mike Byrnes.